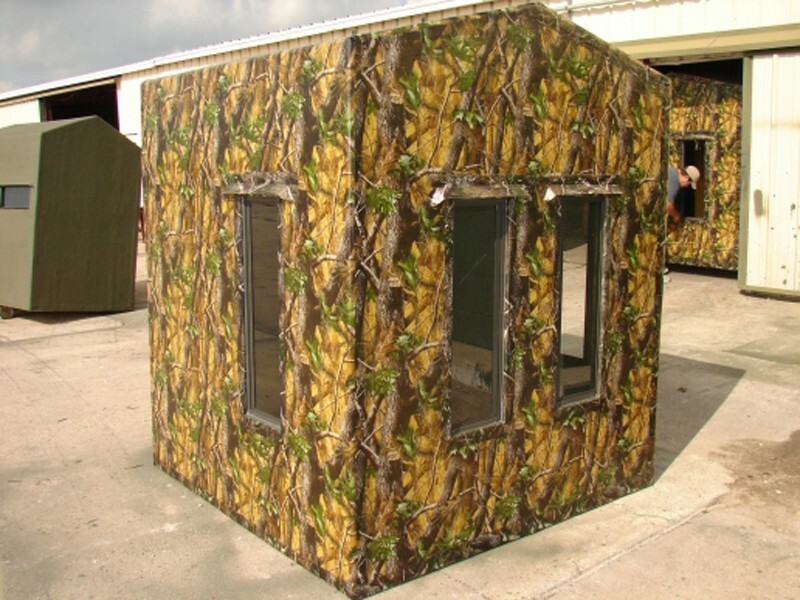 Here are examples of our Custom Archery Hunting Blinds. 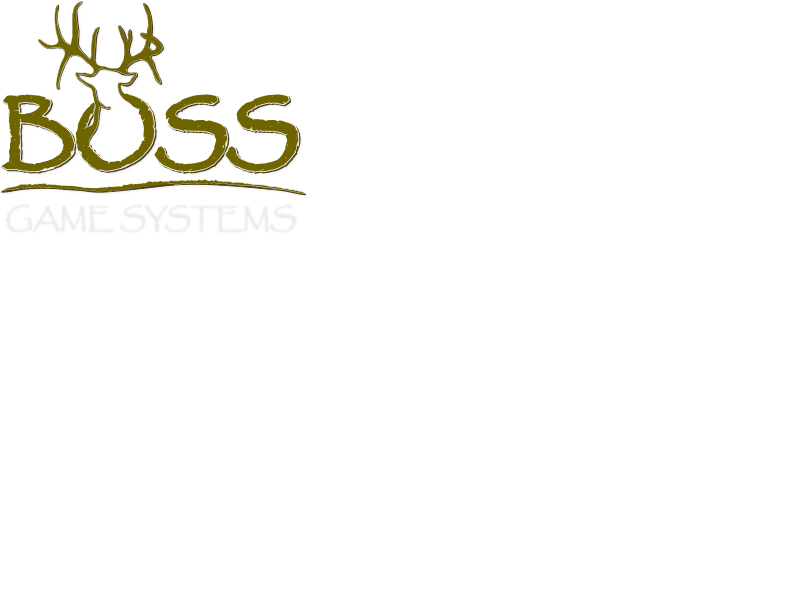 All configurations are per customer. 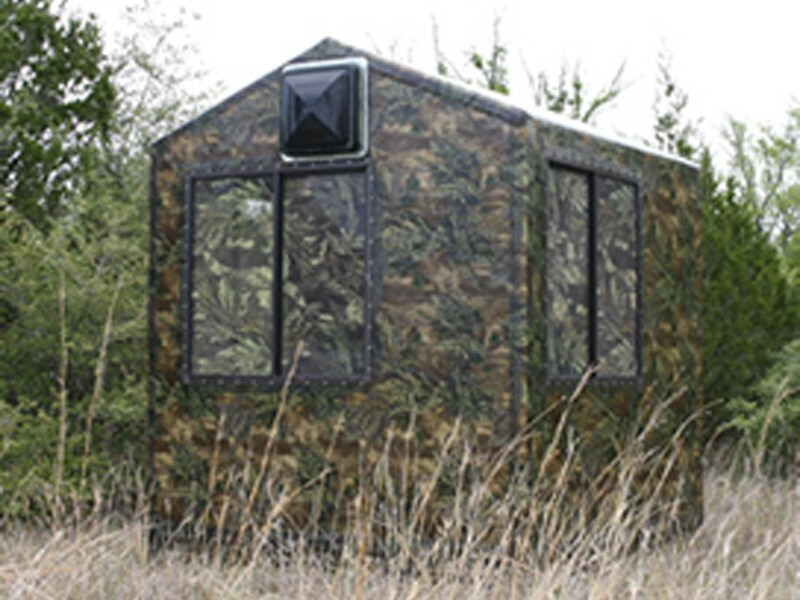 Custom 6’x6’ with a window configuration that allows either bow or rifle hunting. 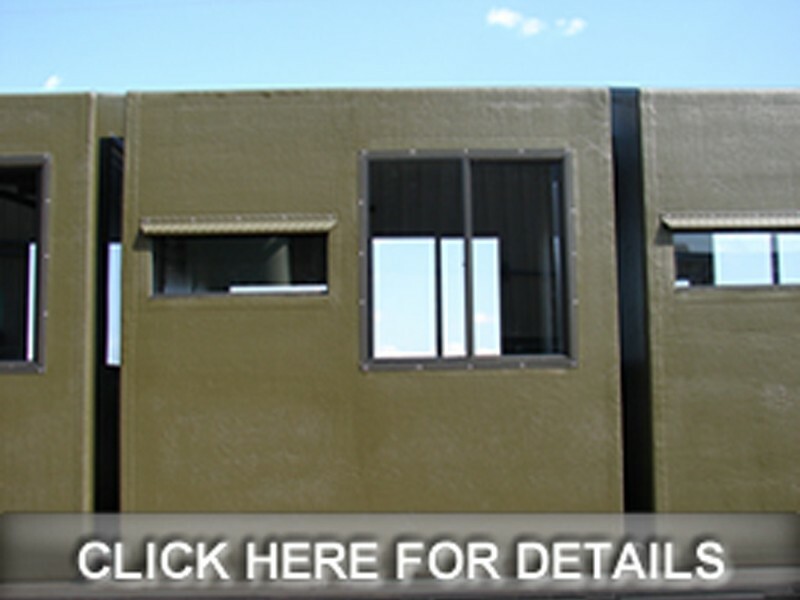 Available with 4ft, 8ft, or 12ft tower. 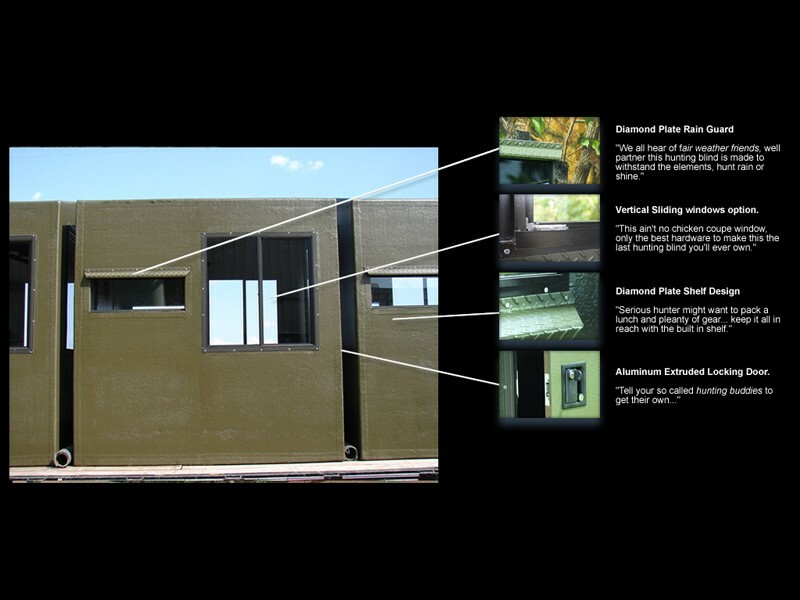 Available vertical sliding glass windows. 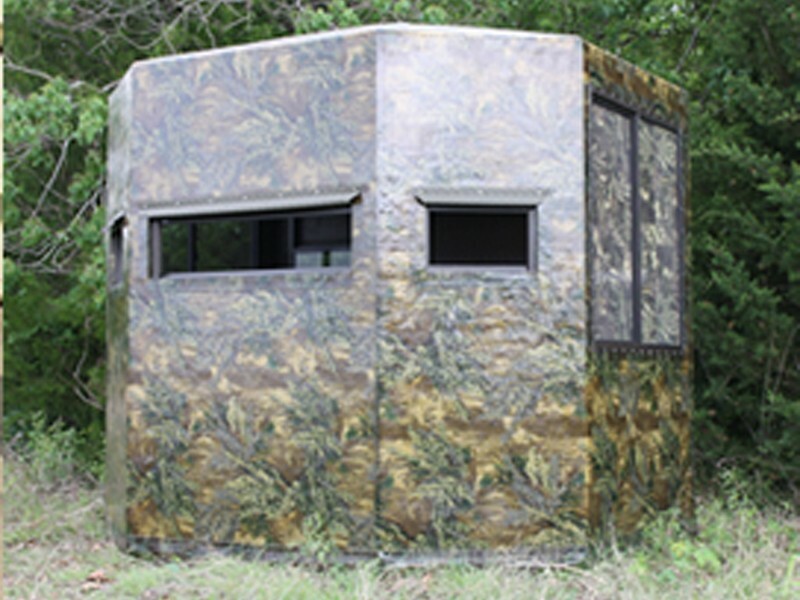 Exterior Finish - Green or RealTree MAX-1 HD. 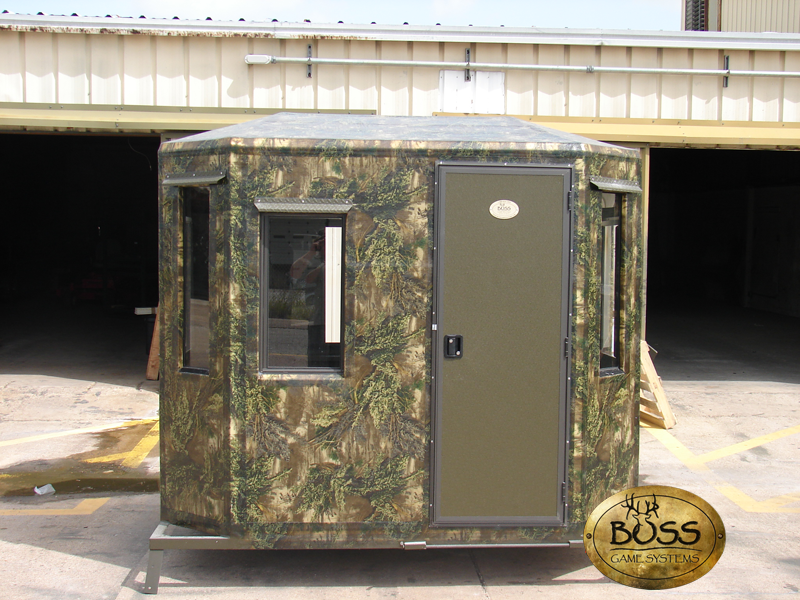 Custom 6’x8’ with bow windows in 3 walls. 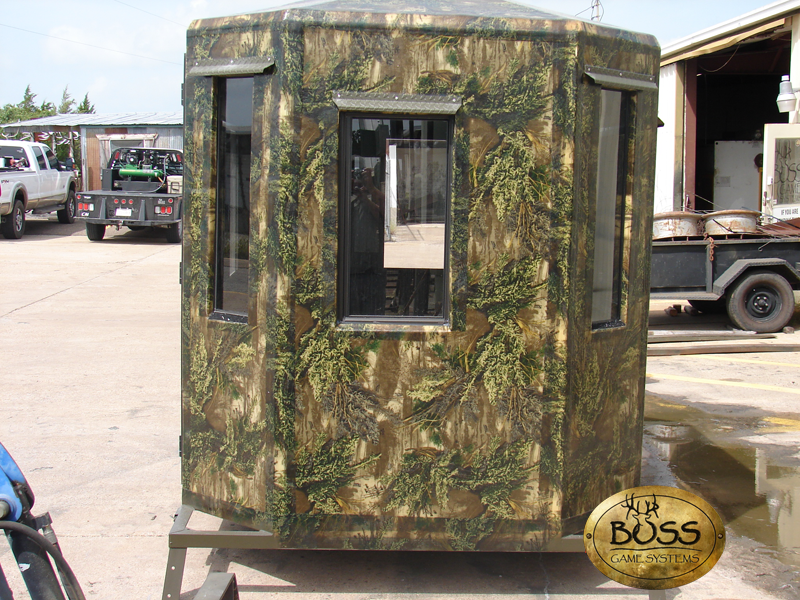 Custom 6’x6’ with camo window tint vent. 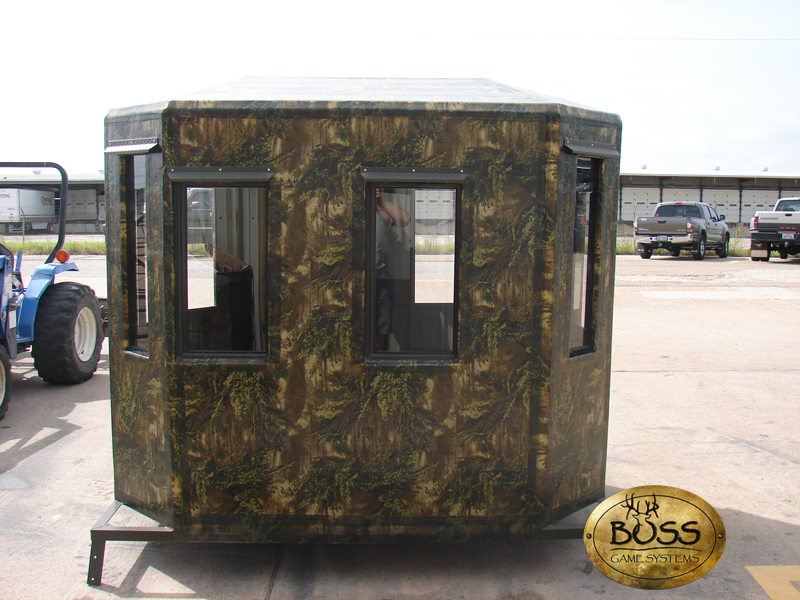 Custom 5’x7’ High Roller with bow or rifle windows. 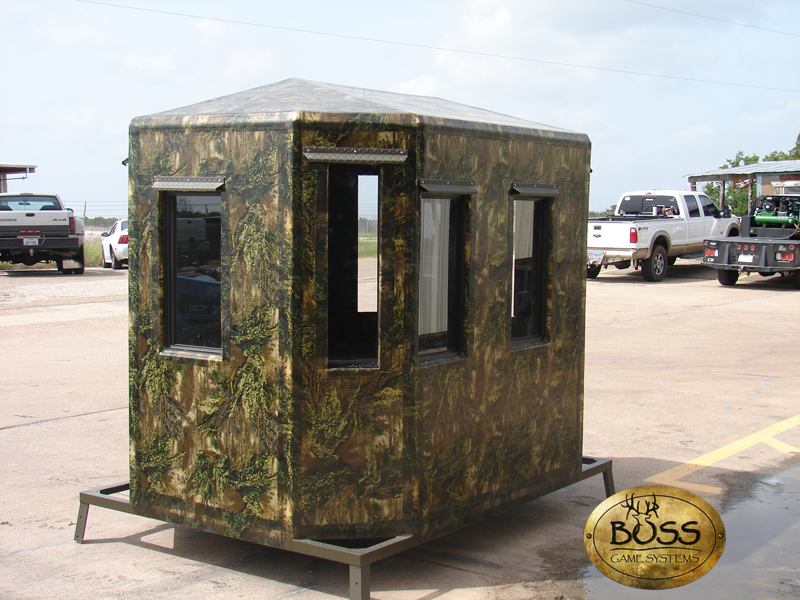 Bow windows with camo window tint.